When the Panama Canal opened in 1914 many more ships called at Pitcairn Island on a fairly regular basis. 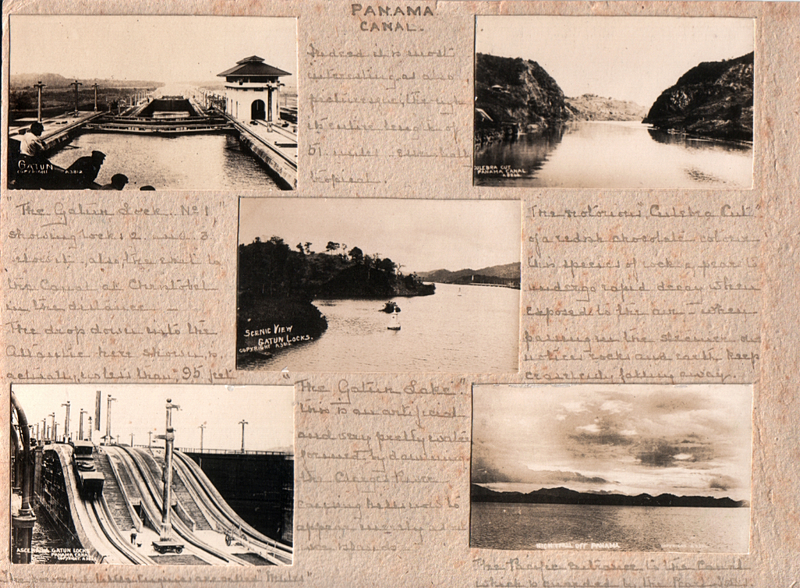 Here are all the Panama Canal postcards – that I know of – from the “A” series of cards published by the New Zealand-based photographer David James Aldersley. As I have not been able to find records of Aldersley on any voyages through the Canal, I am assuming that these photographs were taken by the photographer/barbers like Henry George Keyse (HGK) and Peter Zerface (PZ). Part of my reasoning for this is that some cards initially produced by those two New Zealand Shipping Company barbers were later republished with David Aldersley’s name and/or codes included. Often these postcards were sold with blank backs, in fact printed postcard backs are, in my experience, less common. As each card is numbered on the front, it appears that some cards are missing from the sequence. If you have any different cards in your collection, I would love to see them. Walter Kramarski, who had a massive collection of David Aldersley cards, did not have any other Panama Canal cards in his collection from the “A” series. I’m not sure who put the above card together. I purchased it on the auction site eBay a few years ago, and interestingly, all the images are smaller, photographic, versions of the postcards. 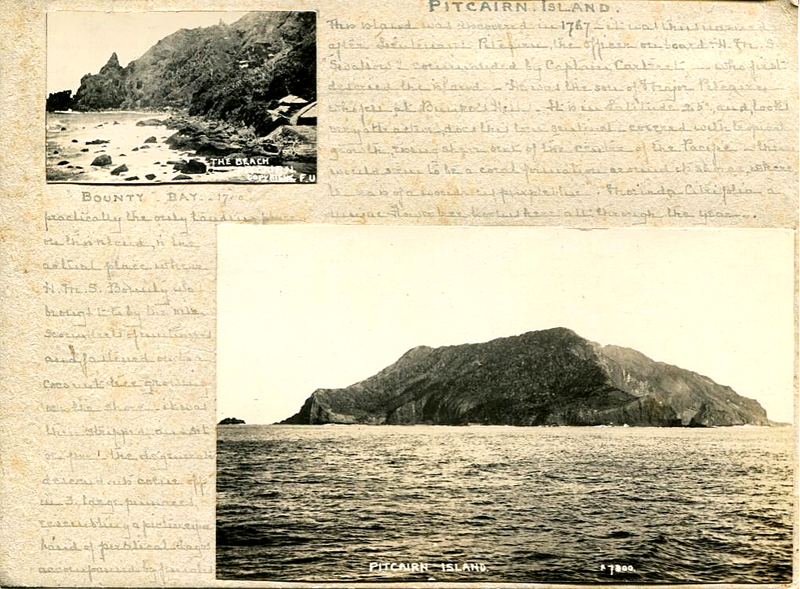 There was also a similar card of Pitcairn Island which I was outbid on, with one normal sized photographic postcard and one small photo by the photographer, so far unknown to me, with initials “FU” (below). This is a jolly good p.c. so be sure & give it to the Arab for my collection of “things”. They don’t seem to sell any p.c.’s at Panama, I found this in the Barber’s shop. Everything is being absolutely wonderful, I do wish you were here too. Life on board would suit you down to the ground, one has to be so matey. Its like the jazz part of the Bishop’s thrash! Good luck next term, with heaps of love from Muff. *Walter Kramarski of Chicago, USA, had a very large postcard collection. He wrote articles about David Aldersley for New Zealand postcard collecting magazines. He passed away in 2011, and I do not know what became of his collection. I had a great deal of correspondence with him over the years, and we could never agree about which photographer actually took some of the Aldersley published photographs. He was convinced that David Aldersley took all his own photographs, including those on Pitcairn Island and in the Panama Canal. I believe that Aldersley took all the photographs published under his name in New Zealand, and that he published photographs of Pitcairn Island and the Panama Canal on behalf of the barber photographers Henry George Keyse and Peter Zerface, both of whom worked for the New Zealand Shipping Company, selling postcards in their barber shops on board the ships, along with other souvenirs. The only record I can find of David Aldersley on a sea voyage is the one reproduced below. It shows David, then aged 33 with his wife Maria and their three (or possibly four?) 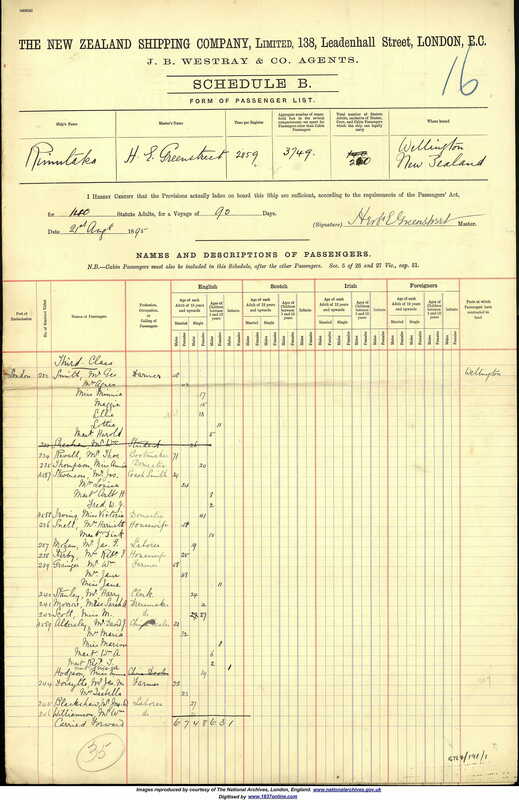 children, on board the Rimutaka when they first left the UK for a new life in New Zealand in August 1895. At that time the Panama Canal was not completed so they would have taken the long journey around Cape Horn.